Most enterprise IT organizations use application delivery controllers (ADCs) to improve the availability, speed, and efficiency of the IT infrastructure. However, ADCs offer limited metrics to help in tuning performance or troubleshooting problems. ExtraHop's co-founders led the design of the BIG-IP v9 product and TMOS platform at F5 Networks, so we are perhaps more cognizant than most about the things to look for when tuning and troubleshooting application delivery controller (ADC) performance. Because the ExtraHop platform analyzes all L2-L7 communications on the wire, it serves as a great way to evaluate the effectiveness of ADC policies and settings such as HTTP compression. We often hear back from customers who have dramatically improved their ADC performance due to the insights gained from their ExtraHop deployment, as in the example below. One large IT services firm used ExtraHop to gain insight into how well its ADC was supporting a major sales productivity application. This particular application was delivered to a distributed sales team over Citrix published desktops. At first, the Citrix tier was suspect, but ExtraHop showed that it was not to blame in this case. Read more about ExtraHop's ICA monitoring and analysis, including login and application launch times per user. Next, the IT team used ExtraHop to investigate the web services part of the application that pulled data from an AS400 as well as other enterprise applications. A virtual server on an F5 BIG-IP Local Traffic Manager load balanced the web services requests (in the form of HTTP POSTs) across a number of back-end nodes. Importantly, each system had limited 100Mbit connections to one another. When viewing the HTTP analysis, the IT team realized that average response sizes were between 3MB and 7MB, with some responses exceeding 32MB. For 100Mbit links, these large chunks would add significant latency to the application. Large HTTP response sizes add signifiant latency over 100Mbit links. ExtraHop also revealed that virtually all the MIME-types were text-xml and that there were no compressed transfers. The upstream clients did support compression, so there was a very strong case that this was what was needed to improve end-user experience. ExtraHop revealed that compression was turned off. Previous to deploying ExtraHop, this IT organization had few options for evaluating and monitoring ADC performance except for a best-guess, wait-and-see approach to testing, which was made especially unappealing because of a restrictive change-management process. ExtraHop made investigation much easier by revealing what type of content was being delivered and how well. With this type of visibility, optimizing the ADC was a much more scientific and effective endeavor. The IT team turned on compression for a staged virtual server, and could see in ExtraHop the change that they were looking for with compressed transfers increasing and smaller response sizes. Traditional monitoring tools cannot solve the type of problem described above. First, there are no other completely passive solutions that can tie the latency of specific Citrix sessions to activity on the backend as ExtraHop can. Second, traditional agent-based monitoring solutions are blind to ADC performance. 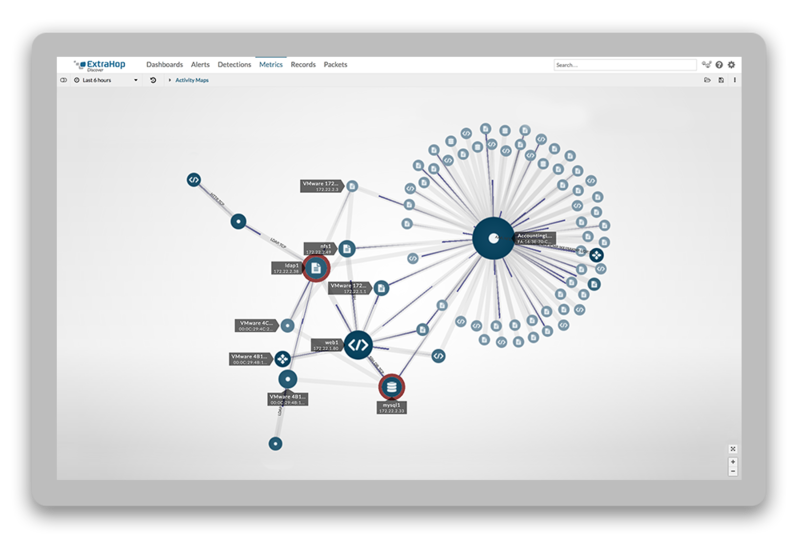 Try wire data today with the interactive ExtraHop demo. If you're interested in learning more tips and tricks to optimizing your ADC performance, check out the Data Center Journal article below from ExtraHop CEO Jesse Rothstein, who previously led the design of the BIG-IP v9 product.